“The Gift Shoppe” Expanded Grand Opening – Unity Shoppe Inc. 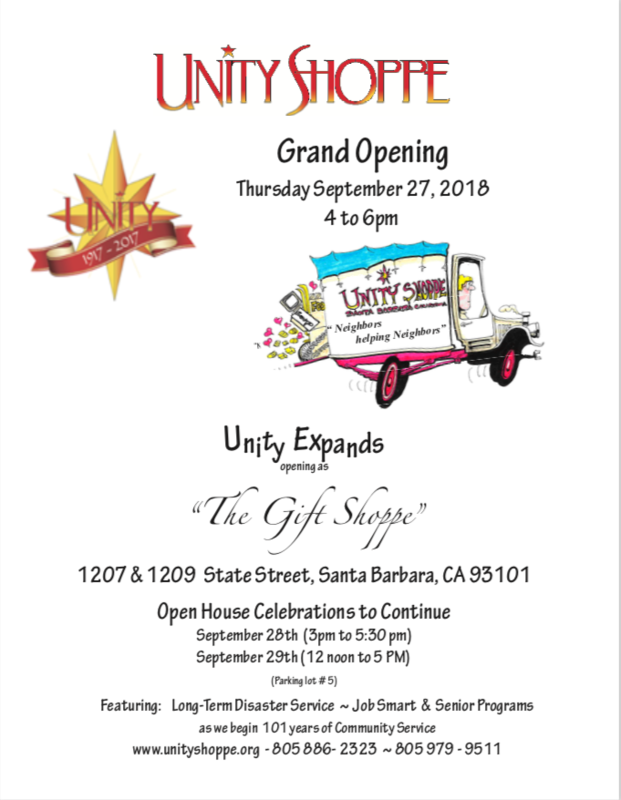 Please join us for our extended Grand Opening celebration of “The Gift Shoppe” benefiting Unity Shoppe, September 27, 28, and 29. See hours below.